This workshop reviewed both historical and contemporary theories in behavioral science and examined how these theories have been applied to understanding and intervening in the HIV epidemic. We also discussed how particular theories of behavior might be usefully integrated into the research projects of the SASH Fellows. More details and photos to come. 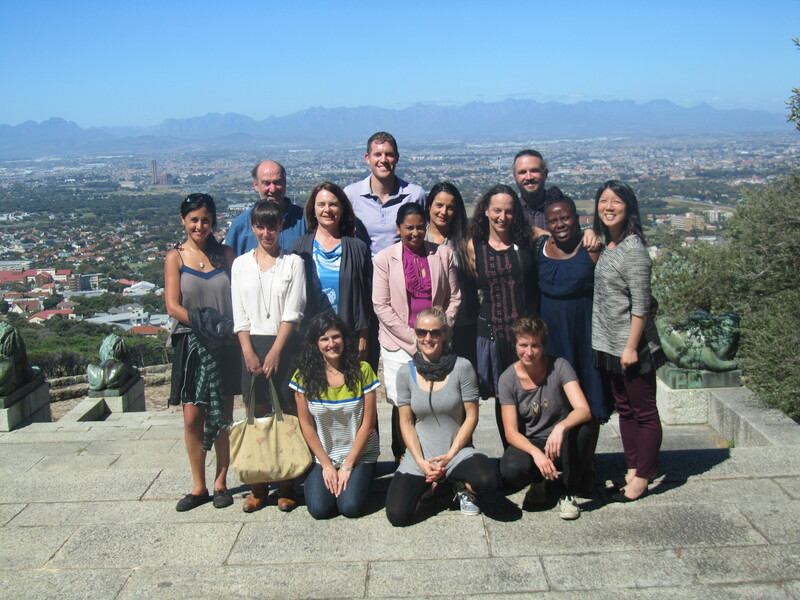 T he South African Social Science and HIV (SASH) Fellows Programme was launched last month. The programme is a key component of the NIH R24 funded collaboration between UCT and Brown University that seeks to strengthen HIV social science research and training. The award covers the period 2013-2018 and amounts in total to over R20 million. The project – ‘Partnerships for the Next Generation of HIV Social Science in South Africa’ – is led by Professor Mark Lurie (Department of Epidemiology, Brown University) and Dr Christopher J. Colvin (School of Public Health and Family Medicine (SoPHFM), Faculty of Health Sciences, UCT). Among its aims are to develop academic capacity through curriculum development, teaching and mentoring, and fostering a culture of excellence in the interdisciplinary HIV social science research environment. Fellows who are selected receive various types of support including funding, mentorship and training opportunities. Mentorship and support is based both at UCT and at Brown University. Thirteen Fellows have been selected for this round of the Programme. Each works in one of three strategic areas: Gender in HIV/AIDS Risk and Response, Antiretroviral Therapy Adherence and Expansion, and HIV Prevention for Women, Youth and Families. The Fellows are at different levels of study, ranging from Masters to the postdoctoral level. Many of the Fellows have connections to UCT. Dr Alex Muller is a postdoctoral fellow in the School of Public Health and Family Medicine. The SASH team from HAICU—Cal Volks, Sianne Abrahams, Lucina Reddy and Stella Kyobula-Mukoza—will be engaging in a group SASH project. Dr Brendan Maughan-Brown works as a Senior Research Officer at the Southern Africa Labour and Development Research Unit (SALDRU). Ntobeko Nywagi has worked on range of research projects with the Women’s Health Research Unit in the SoPHFM at UCT. 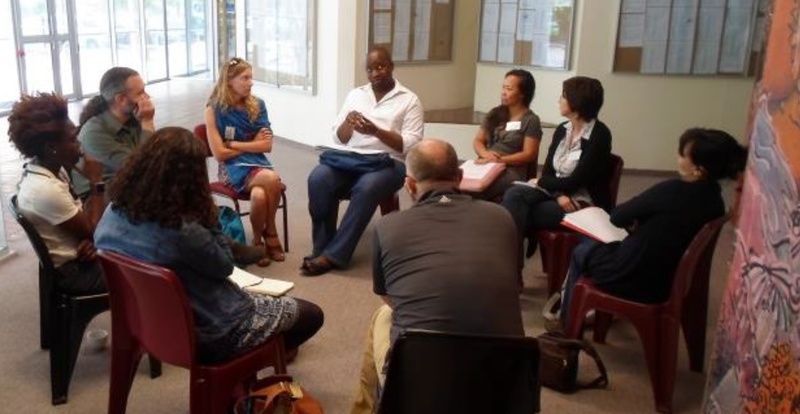 Vuyiseka Dubula, Tim Shand and Marlise Richter all work in different capacities at Sonke Gender Justice, and Zoe Duby and Kate Snyder work at the Desmond Tutu HIV Foundation. 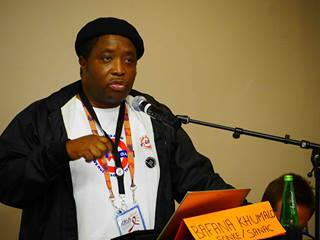 The SASH Programme supported Sonke Gender Justice in its ICASA satellite session on the gender gap in access to antiretroviral therapy. The session was a huge success and featured panelists talking about challenges and opportunities around getting men involved in HIV and Health Services. 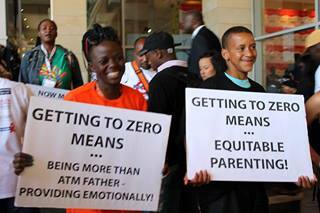 Many of the 200-250 people who attended were wearing the MIND THE GAP (“To Get To Zero, We Must Also Get To Men”) t-shirts that were a visual part of ICASA in Cape Town. Prof. Sheila Tlou of UNAIDS was one of the panelists, and a vibrant discussion with the audience and media present followed. This satellite session was co-organized by: IAS and The Division of Social and Behavioural Sciences (Public Health) South African Social Science and HIV (SASH) Programme in HIV Social Sciences at the University of Cape Town (UCT). The session addressed the many complex challenges raised by the initiation of anti retroviral therapy (ART) and adherence to ART. In the session researchers in social science and activists shared their experiences and findings and demonstrated how social science is helping to understand and address the problem and offered ways of overcoming these problems that are relevant to clinicians and public health practitioners. The need for mobilisation and activism after initiation of ART, the efforts to engage men in the long term, gender dimensions and the challenges faced by migrants were dealt with. The in-depth discussions were followed by a lively discussion among the 80 participants of the session. Panelists included: Hakan Seckinelgin (London School of Economics); Sanyu Mojola (University of Colorado at Boulder); Christina Zarowsky (University of the Western Cape); Christopher J. Colvin (University of Cape Town) and Phumzile Nywagi (Sonke Gender Justice Network).